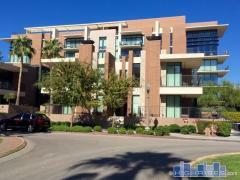 Bridgeview is a waterfront 12-story high-rise overlooking Tempe Town Lake. Luxury amenities at Bridgeview include an outdoor pool, state-of-the-art fitness center, steam room and sauna, and billiards room complete with dry bar, refrigerator, and flat screen TV. Have any comments or questions about Bridgeview Condos? Ask your question and/or share your thoughts about this Building.